I'm on a bit of a roll this week - meet my new design, Bedragonned! My favourite part of this new Hat is the brim, so I'll start there! It's created using a series of very tight tucks, and although fiddly, I feel it's very much worth the effort. It's not an overly stretchy brim, comfortaably snug I'd say, and there are 6 sizes included to ensure the perfect fit. Following advice from one of my test knitters extra tips were included to aid the creation of the tucks, especially the first one, and of course it has illustrated tutorials included in the pattern for the key techniques. From the brim this beret uses a gentle textured stitch whit highlights the variegated yarn so well. The body is a pleasant knit, with a repeat of 4 rows/4 sts, which feeds very nicely into the classic crown. The overall effect is elegant, and would work just as well in a plain or semi solid yarn. 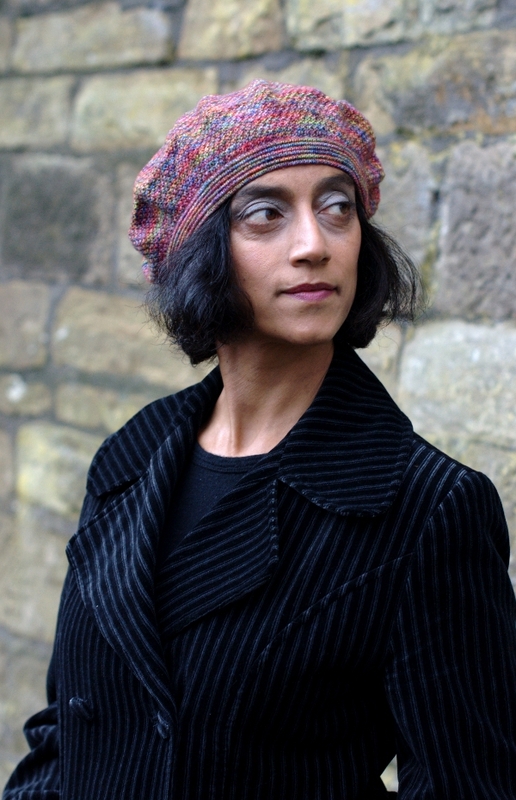 Our model for this Hat is an old school friend of Ann Kingstone, and she was wonderful to work with! Doesn't she suit the Hat so well? The pattern has been fully test knitted AND tech edited, as all of my patterns are. An interesting discussion cropped up on Twitter yesterday about testers vs editors and I really do feel, for lots of reasons, that both are relevant. I'll talk more about that another time, as I'm here to talk about this Hat now! And finally - you want to know about the yarn, yes? 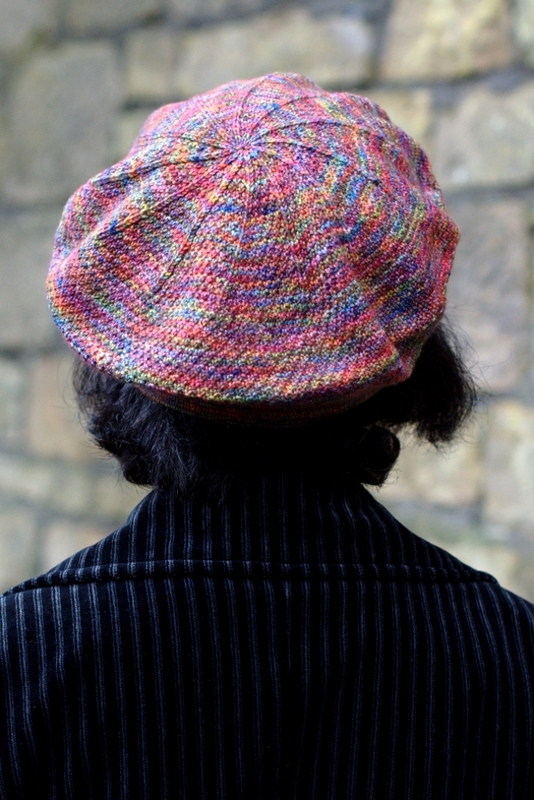 This is 'Socka' from SparkleDuck in colourway 'Here Be Dragons'. It's especially beautiful in the skein and insisted it came home with me from Brighton Unwind... I had no idea then what it wanted to be but it soon made it's intentions known. 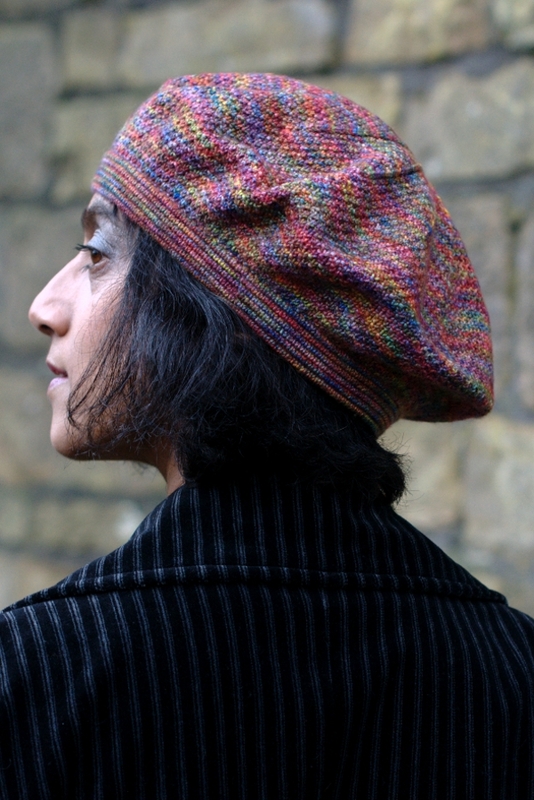 At first I thought this Hat would be part of the new 'Painted Woolly Toppers' collection, yet it soon became clear that it needed to stand alone, as an individual, and so here it is. Bedragonned is on special offer until 11th February for a mere £2! The pattern is also available through Ravelry In-store, so why not ask your LYS about it? It'll be going off to print wholesale shortly, too. 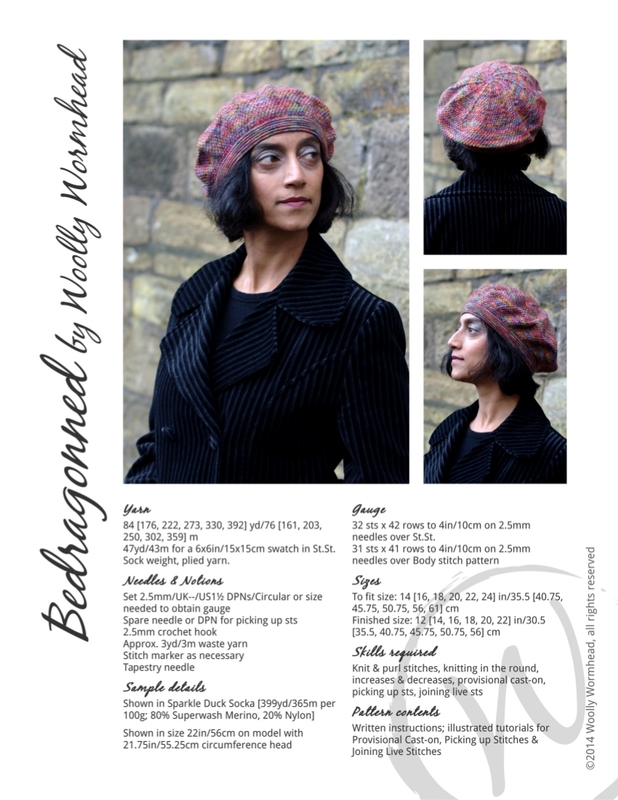 After talking this through with the testers for this pattern and some of the moderators for my Ravelry group, we thought a KAL would be a great idea, especially to help folk through the brim construction. We're aiming to cast on 1st March, so why not order that perfect skein of hand-dyed sock yarn (or maybe you have some already? ), check your gauge, and we'll see you over there for a knit-a-long?